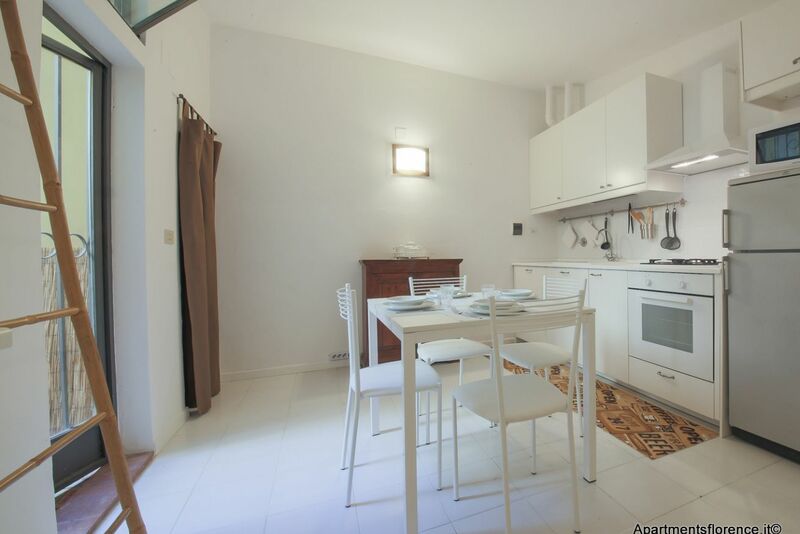 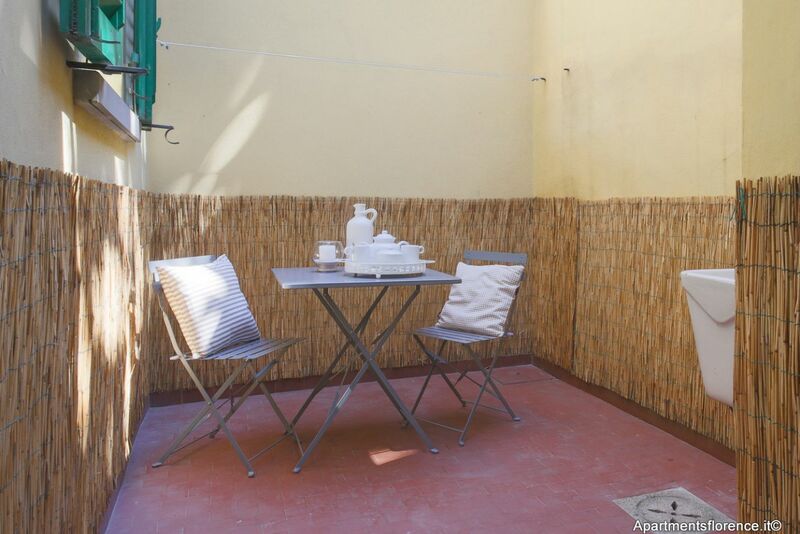 A bohèmien-chic apartment located just outside the No Traffic Zone, very close to Santa Croce and Sant'Ambrogio. 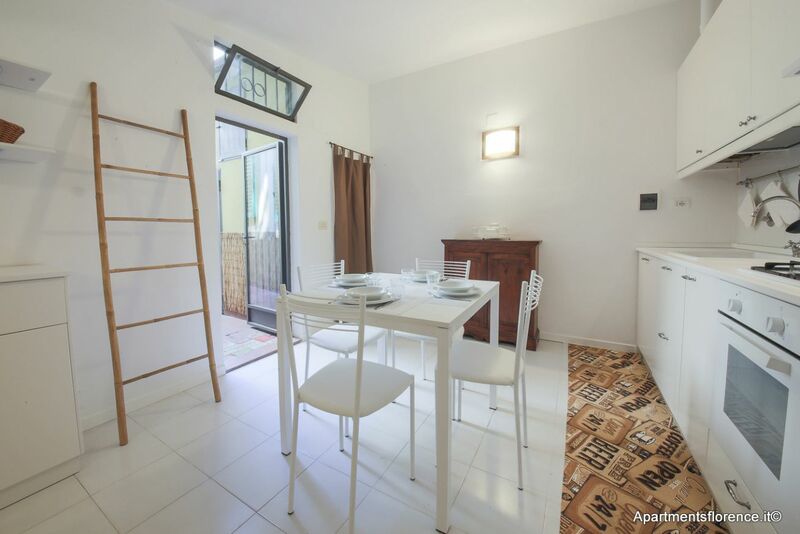 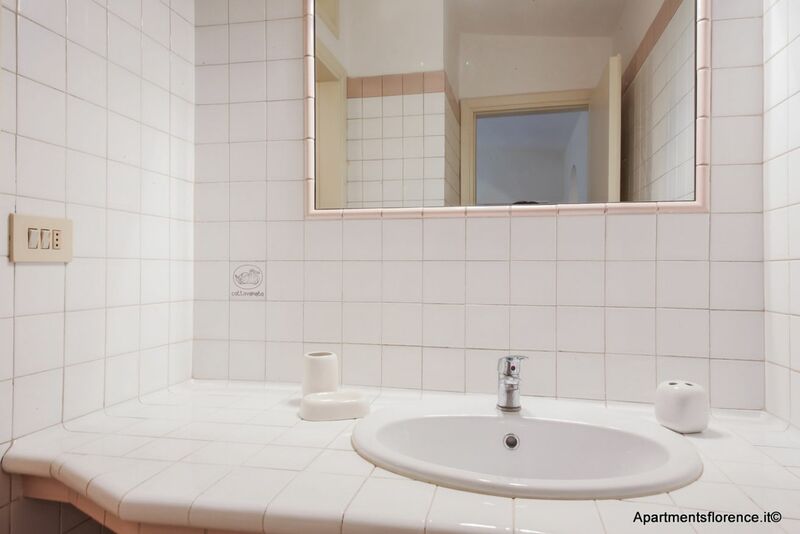 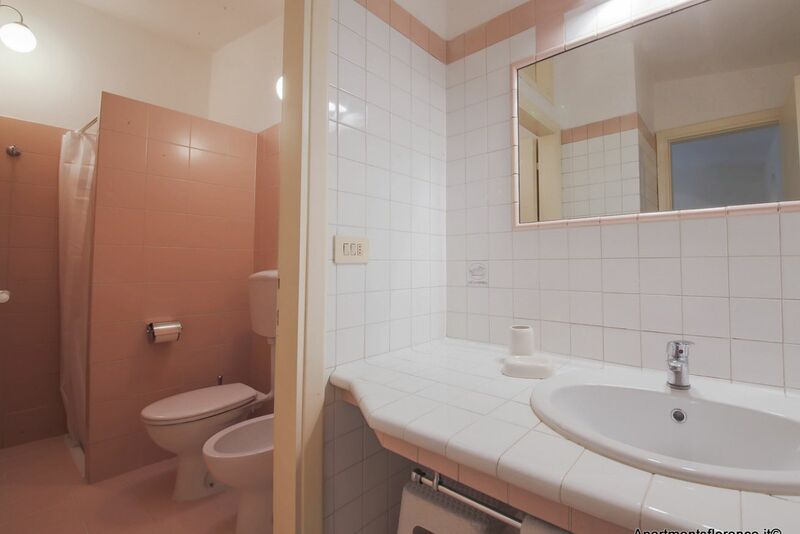 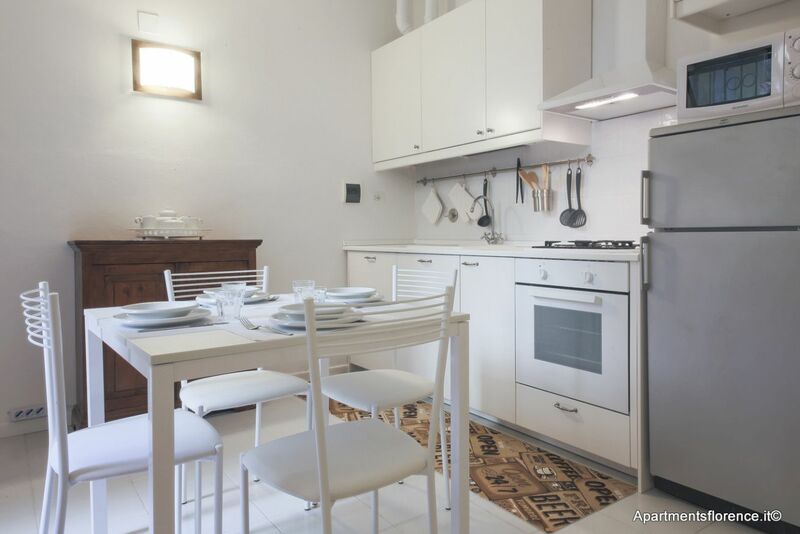 This apartment is located on the first floor (ground floor European) of a residential building set on Via Cimabue, just outside the No Traffic Zone and very close to piazza Beccaria and the Sant'Ambrogio neighborhood. 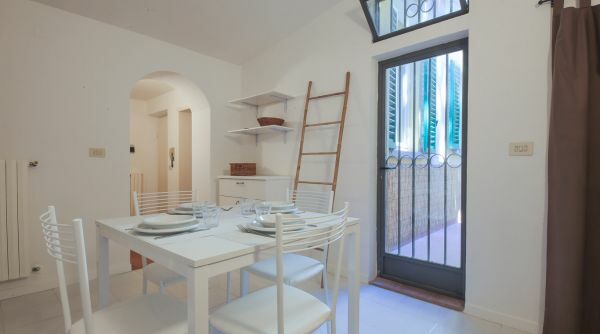 The whole place has been recently renovated and redecorated with great taste and attention to detail. 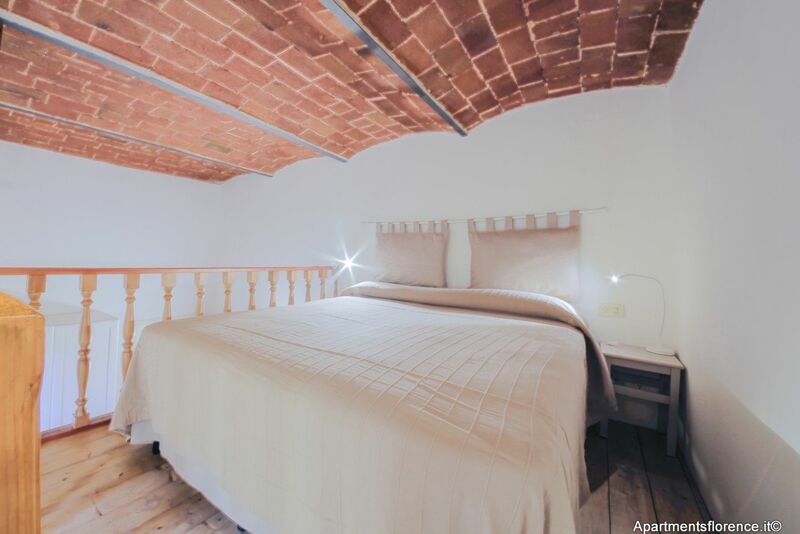 Modern style furniture combined with rustic features such as vaulted ceilings with exposed bricks and terracotta floors create a warm and charming atmosphere, with a classy twist. 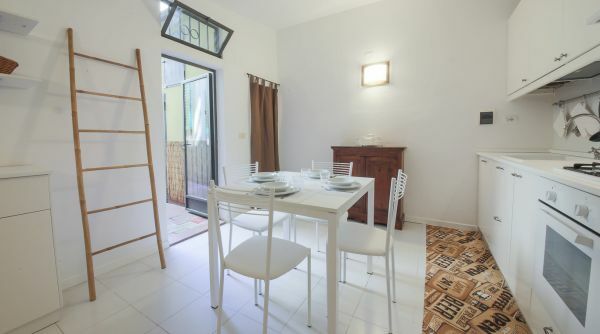 The apartment can accommodate up to four people thanks to the double bedroom and the sofa bed. 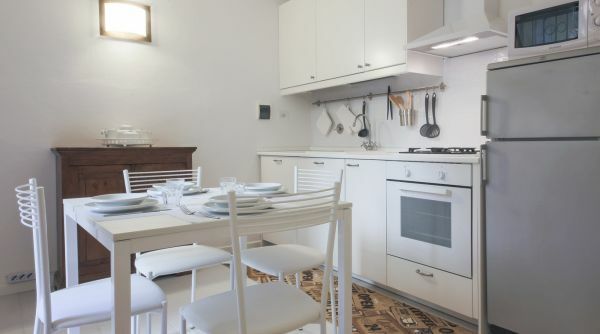 The newly renovated kitchen is bright and modern, fully equipped with anything you may need to cook your own favorite meals while in Florence, plus a dining table for four and a useful storage room. 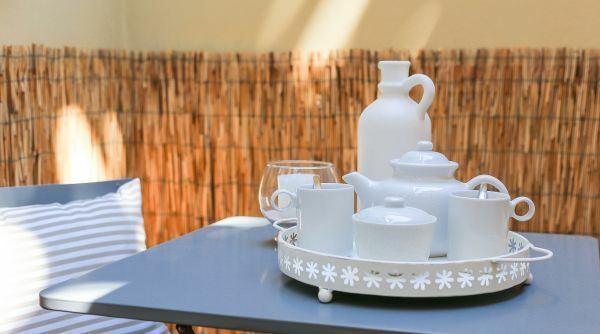 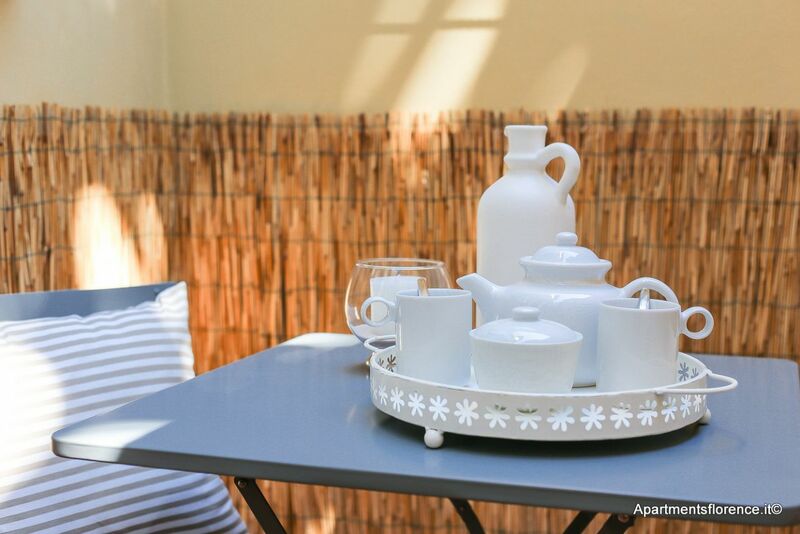 From the kitchen you'll have access to a lovely terracotta-paved courtyard, where a nice outdoor table is set, for you to be able to enjoy relaxing moments outside, too! 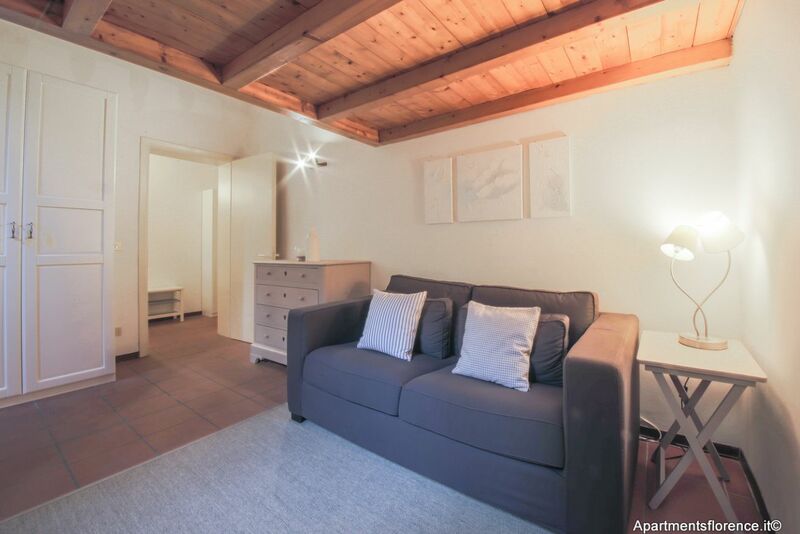 The living room features a comfortable queen size sofa bed, dresser, closet and flat screen TV. 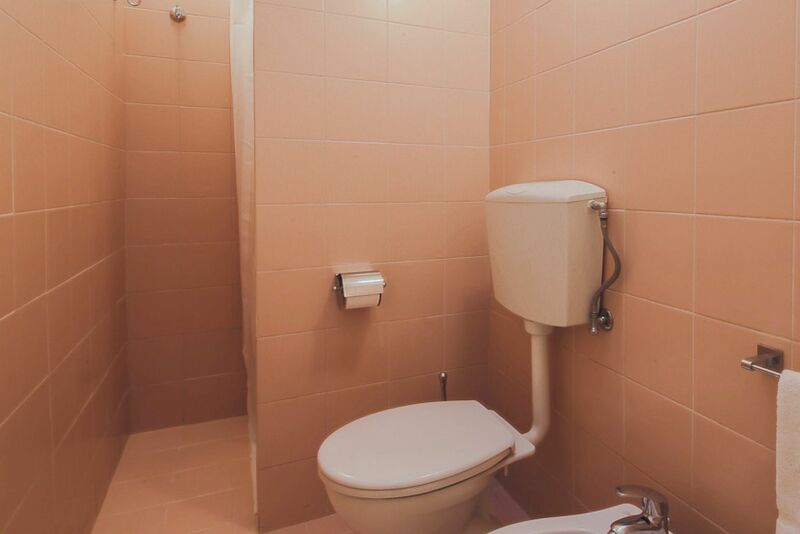 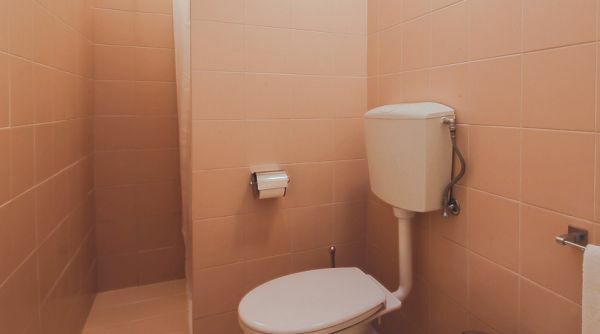 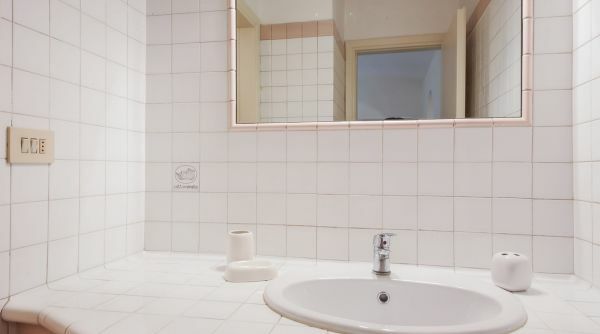 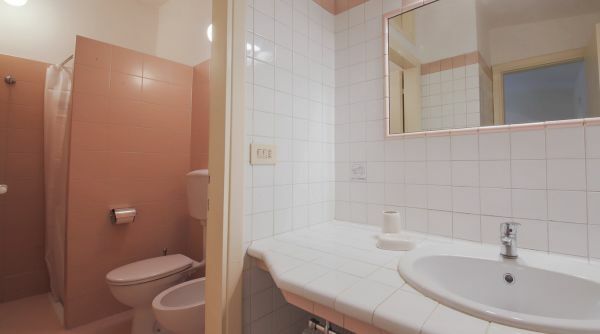 A recently renewed bathroom with shower completes the property. 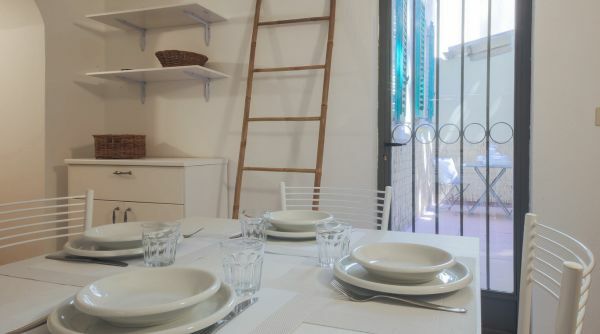 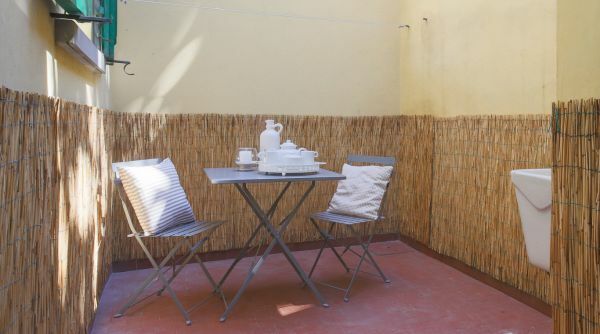 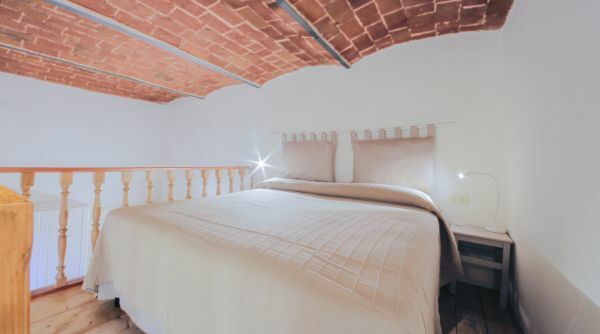 This apartment is the ideal choice for a family or a group of friends who wish to experience Florence while staying in a quiet, familiar and elegant location. 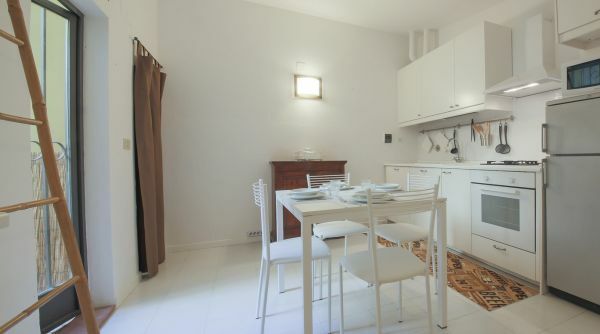 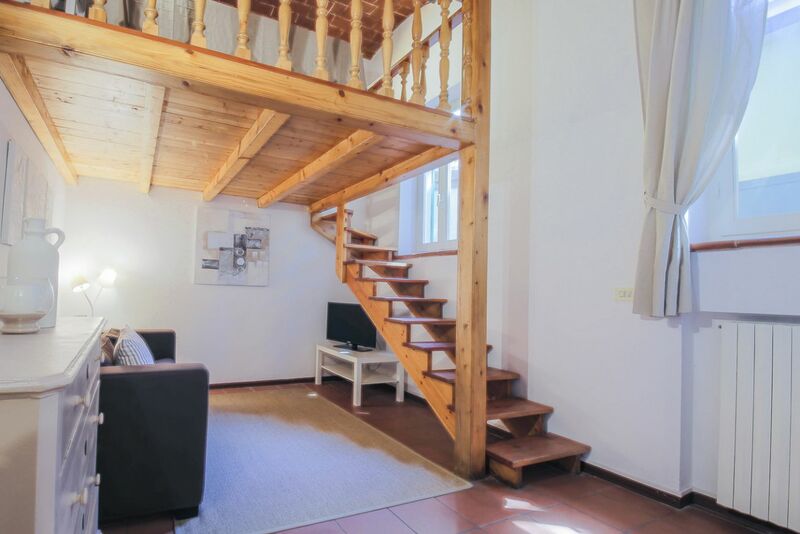 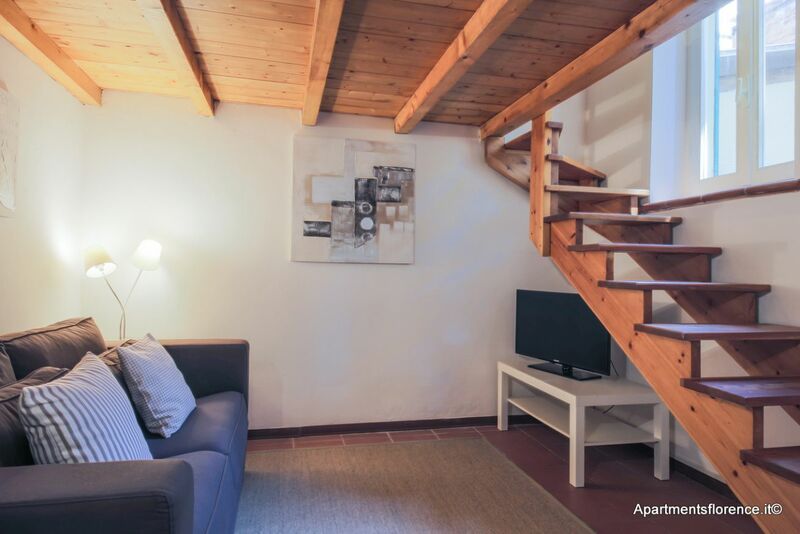 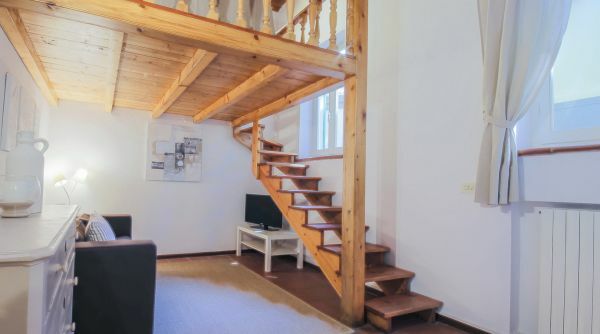 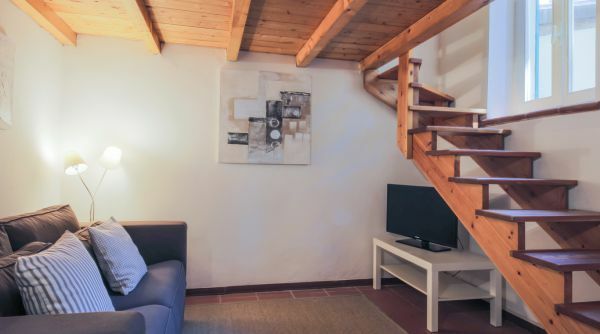 Staying in this apartment you'd get the chance to stay just a few minutes away from all of Florence's many beauties, but also benefit from a quiet and tranquil atmosphere when you get home at night, away from the chaos and the fuss of Florence's lively downtown nightlife. 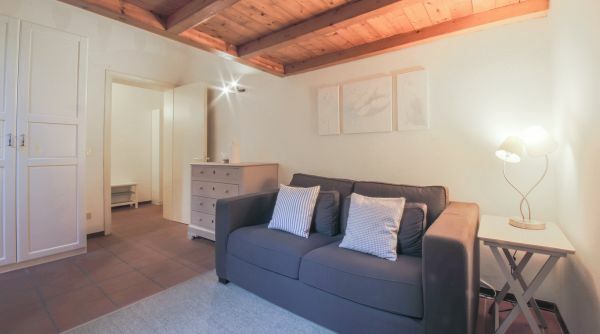 From the apartment, Piazza Beccaria and the Sant'Ambrogio neighborhood are just a few minutes away, and from there all of Florence's beauties will be on the palm of your hand, while the many buses passing by will easily connect you with any area of the city. 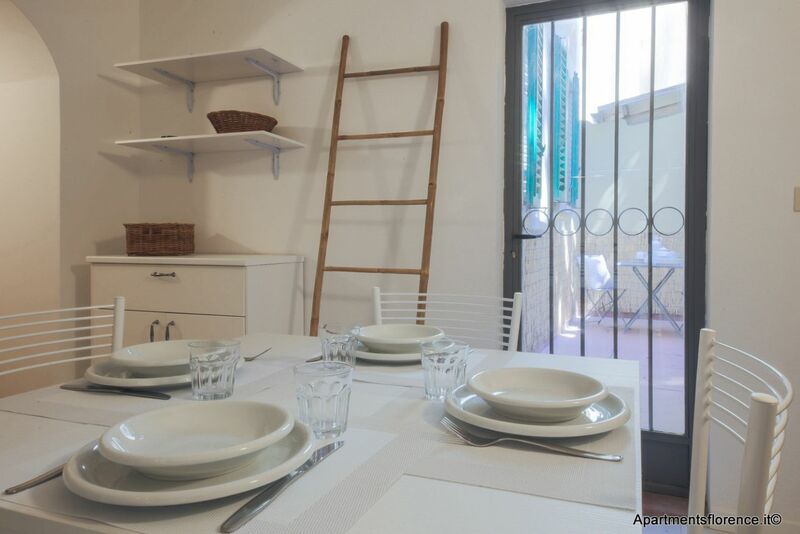 The nearby Via Gioberti is lively and filled with restaurants, shops, cafès and supermarkets, to provide you with anything you may need during your stay. 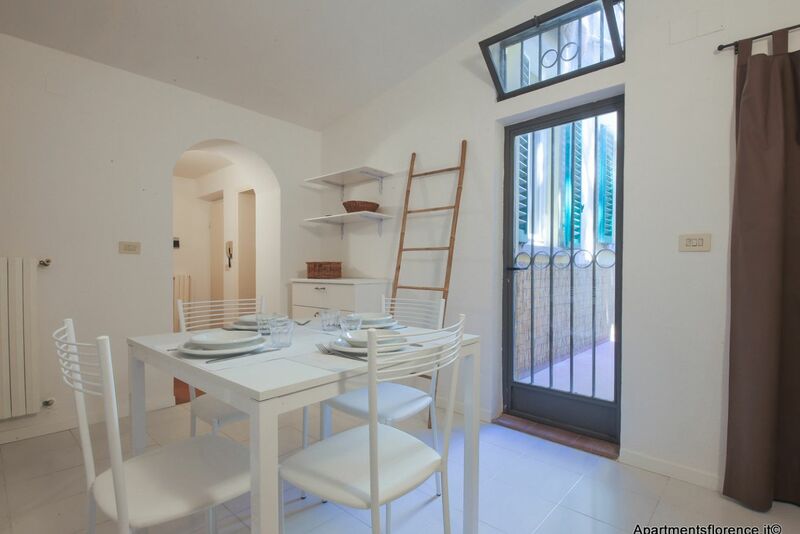 Edificio classe F, Prestazione energetica globale 158.5 kwh/m2anno.